A new fixed-price inspection service has launched that could dramatically reduce end-of-lease return charges for fleets and PCP/PCH customers. 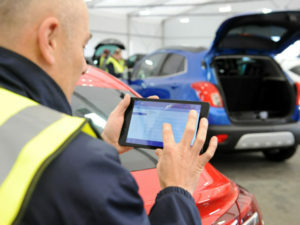 Priced at £99 +VAT, the Inspectanycar.com service creates a detailed report on any damage, maintenance and advisories needed before the vehicle is handed back. The service draws upon the vehicle inspection services of Vehicle Quality Solutions (VQS), which runs a national network of vehicle inspectors to look over a car at a business or driver’s home and then email a report within 24 hours, providing an easy-to-understand breakdown of the actions needed. “Our aim is to give private motorists and fleet managers a chance to both manage and control their own repairs that will ultimately reduce costs,” explained Matthew Corby, director of Inspect any car.